A timely and hastily-arranged volume, in response to the shocking news of the death of Prince. Freeman of freemantv.com, and Matt Sergiou of Conspiro Media, join Mark Devlin to discuss many of the symbolic and ritualistic elements of Prince's life, career and music, and how these feed into the much wider picture of the true nature of the entertainment industry and those that control it. 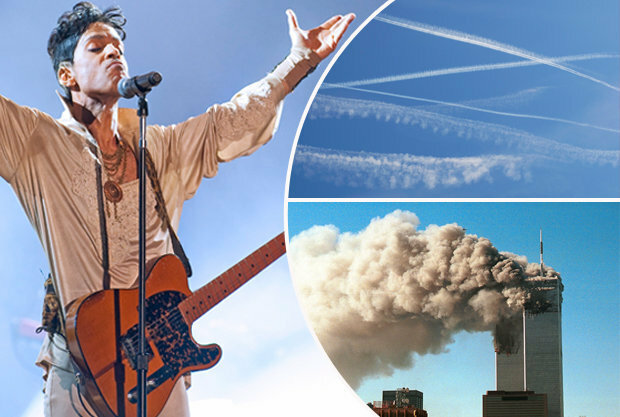 Hold tight for a second volume in the next few days examining many of the lyrical themes and images put forward by Prince through his long career, with guest researcher Dan Monroe. 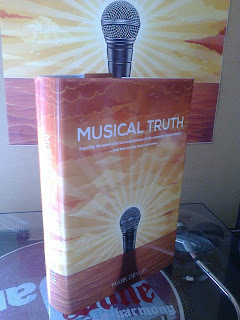 I'm happy to advise that there's now a special-edition hardback version of 'Musical Truth', available from Amazon. I just added a date in Dublin, Ireland to my Musical Truth Book Tour. 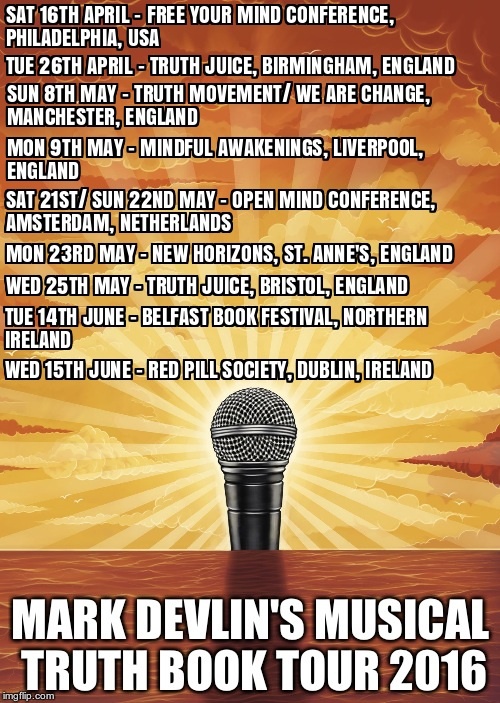 I'll be at a meet-up of the Red Pill Society on Wednesday 15th June. The day before is my date at the Belfast Book Festival. Great to be touching down both North and South of the border. 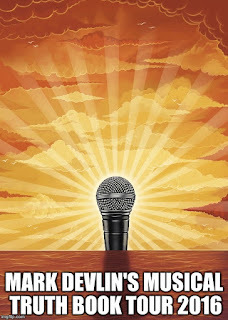 FREE YOUR MIND 4 CONFERENCE - COMING SOON! 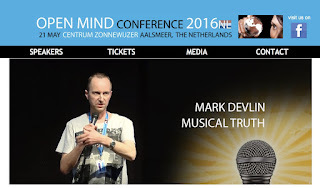 Less than two weeks now til the awesome Free Your Mind 4 Conference in the U.S. Looking forward greatly to delivering a talk, and I'll also have signed copies of 'Musical Truth' available for purchase. On the bill are Jordan Maxwell, Jim Marrs, Ken O'Keefe, Max Igan, Mary Sean Young, Freeman Fly, Jamie Hanshaw, Ken Rohla, Jeanice Barcelo, Ras Ben, Bob Tuskin, John Vibes, two evening presentations from Mark Passio, and a whole load more. There's no place in the world I'd rather be between 15th and 17th April! I'm happy to be one of the featured speakers at the Open Mind Conference Netherlands in May, taking place just outside Amsterdam at Centrum Zonnewizjer in Aalsmeer. 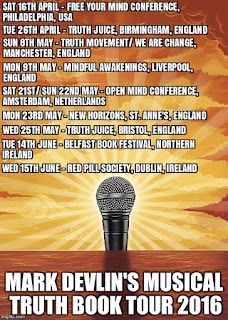 Others on the bill include Max Igan, Ian R Crane, Zen Gardner, Ole Dammegard and Louise Sutton. The organisers have said that they want this to follow a different format to regular conferences, with speakers being far more interactive with audience members, and uncovering solutions-based stuff together. Looking forward to another stimulating weekend in great company.